Today marks the official end of one of the most interesting Avs stories - and also the day when we publish the forgotten story about our meeting with Parshin. There have been fewer reports about him than about Taro Tsujimoto – an imaginary ice hockey player, who was drafted 183rd overall (11th round) by the Buffalo Sabres during the 1974 NHL Amateur Draft. Punch Imlach, the GM of Sabres at the time, made the pick out of fun and because he was bored by the long drafting process back in those days. The truth was revealed months later, before the start of training camps. But today, we’re talking about Denis Parshin – a player who really exists, a player who almost never appeared in non-Russian media. To be honest, it’s very hard to find any reliable information about him that isn’t written in Cyrillic. 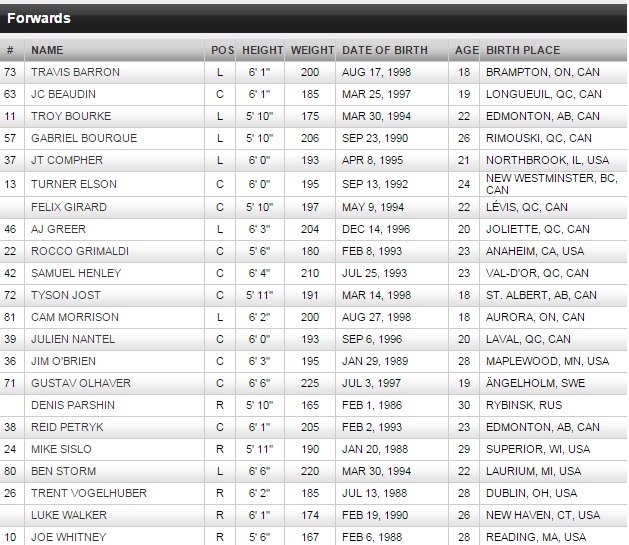 Parshin’s name had been on the Avalanche website and in all of the team’s publications, e.g. media guides or even Farm Reports published every single week, for the longest amount of time among all players since 2004 – since the year when the Avalanche picked him with the 72th overall pick in the third round of the 2004 NHL Entry Draft. There wasn’t any other player from the Avalanche organization, who was on the organizational roster for a longer amount of time. Parshin has never attended a training camp with the Avalanche. 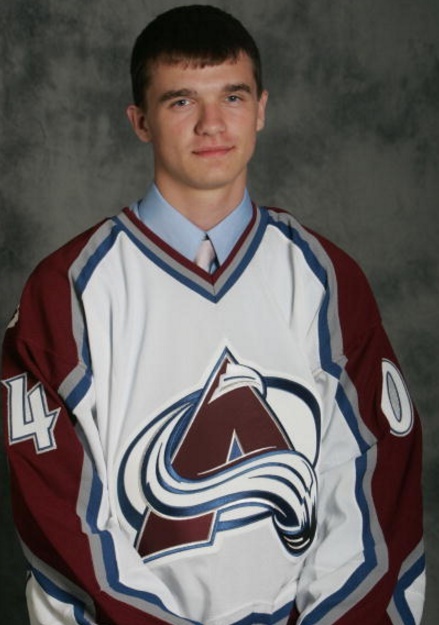 His only visit to the US likely occurred in 2004 during his draft day – according to official press photos (the only photos, in which Parshin is seen wearing an Avs jersey). 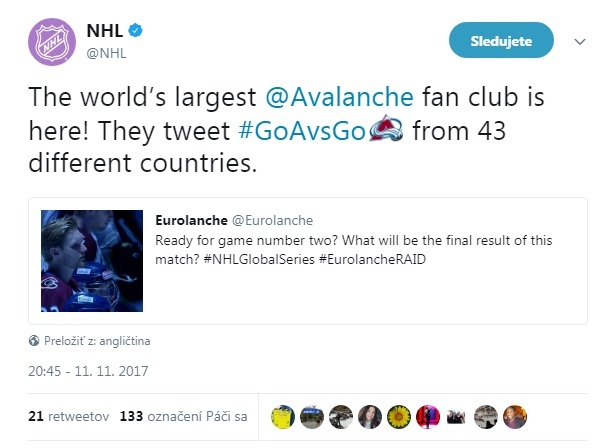 So why has his name been associated with the Avalanche for almost 13 years? Because of some crazy old rules, that’s why. According to the old CBA (which had expired only weeks following the 2004 draft), NHL teams would retain the rights to a European player until that player turned 31. Parshin was 18 in 2004. He celebrates his 31st birthday today. That’s it. We have no idea what will happen with the current Avalanche roster during the next hour, but we can be sure GM Joe Sakic won’t announce Parshin’s comeback. The Avs could’ve negotiated a contract with him since 2004 until today. Now, they can’t anymore and his name is expected to vanish from all official Avs-related publications and websites, and last but not least, from the organizational rosters, but not from the all-time draft reviews. His name will be part of Avalanche history forever. This has not been revealed until today: I personally met Parshin in the past. As you could’ve probably guessed, it wasn’t easy nor simply as pretty much every part of his curious story. I had accreditation to a KHL game featuring my local team HC Slovan Bratislava and CSKA Moscow in October 2012. 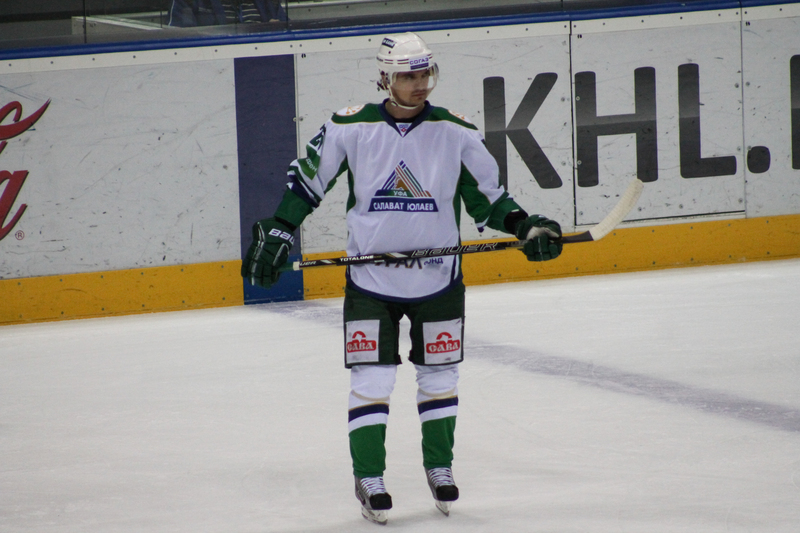 Only hours before the game, I found out that Parshin has been traded from CSKA to Salavat Yulaev Ufa. Anyway, I went to the game to at least watch Pavel Datsyuk, who was playing there during the ongoing lockout (short report available here). It wouldn’t be a Parshin story if something bizarre didn’t happen. Somehow, I completely forgot to publish this story and photos until today. It took more than three years. But it’s only a fraction of his 13-year “tenure” with the Avalanche. Parshin spent his entire junior and the first half of his senior career with CSKA Moscow. 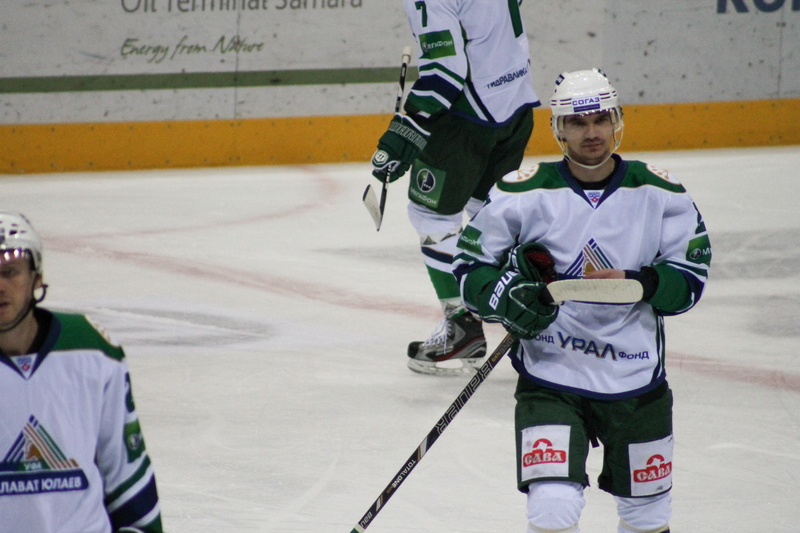 Following the trade I mentioned earlier, he played for three more teams – Salavat Yulaev Ufa, Torpedo Nizhny Novgorod and Avangard Omsk. 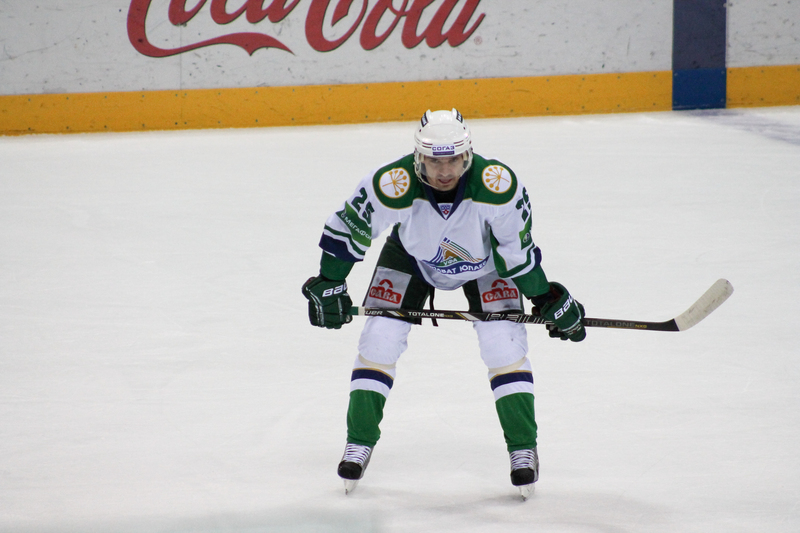 This season, he was traded from Omsk to Ufa. Again. His numbers aren’t bad and you can look them up at EliteProspects. He even took part in three KHL All-Star Games, but has never won any individual awards, nor trophies at the senior level. Meanwhile, the CBA has changed, so you don’t have to worry about a never-ending presence of any European players’ names in the future. Now, every drafted European player (if he was drafted from Europe) must be signed within four years after being drafted. Otherwise, the team that drafted him would lose his rights. You can only guess what option he’ll choose. But with Denis Parshin, you never know what will ultimately happen. I asked several of my sources within the Avs organization about Parshin and they have no idea what his situation was like during the recent past. It simply indicates that there was nothing - no negotiations, no informal talks, no camp invitations. I am curious to know, when the Avs brass realized they'd never see Parshin after his draft day ever again. Parshin's name is still part of the Avalanche in-the-system roster as of January 31st, 2017 - one day prior to his 31st birthday.